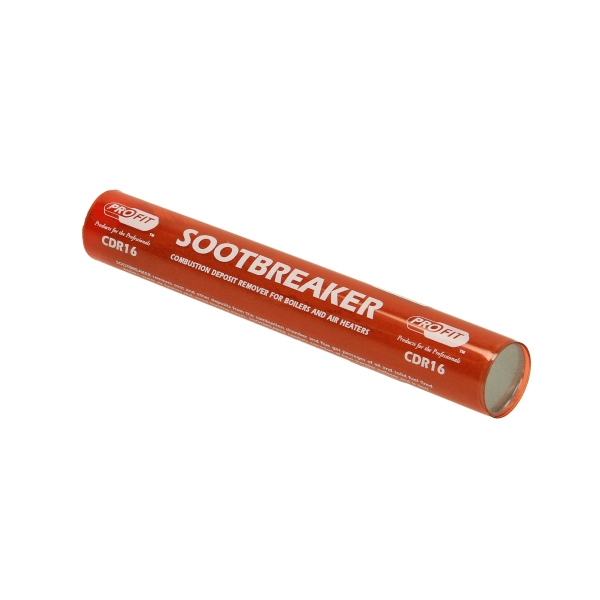 Sootbreaker is a blend of oxidising and neutralising components packed in plastic tubes, which are thrown, unopened, into the combustion chamber once the boiler is up to maximum temperature (at least 350°C). The boiler is then fired continuously for a minimum of 30 minutes. Highly reactive chemicals, in both gaseous and solid form, are distributed throughout the boiler, causing hard carbon deposits to dry out, oxidise and disintegrate. Soot is burnt off and any residue of scale or deposits falls to the bottom of the boiler, where it may be easily brushed or vacuumed out.